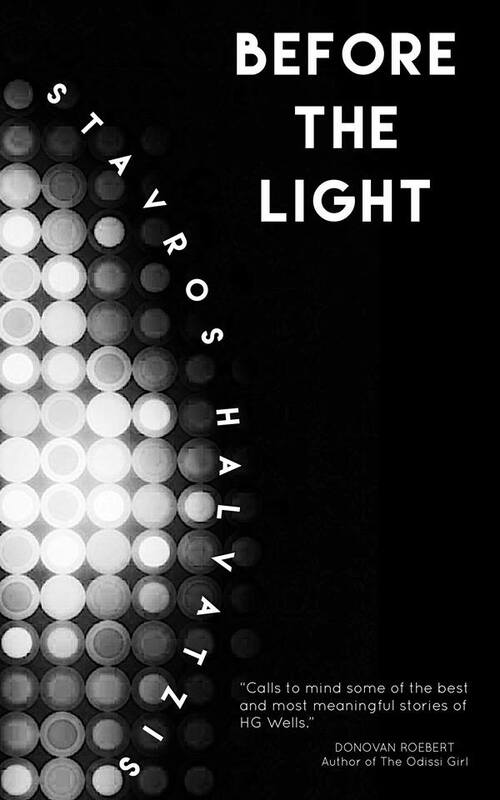 story | Stavros Halvatzis Ph.D. In his book, Writing Popular Fiction Dean Koontz offers writers useful advice on a number of aspects that go into writing a well-crafted story. Writing about our world, as opposed to writing about a completely alien planet, is more difficult because not everything can be made up; our crystal-ball gazing has to ring true. Near-future worlds have to contain enough extrapolated but recognisable elements to convince us of the verisimilitude of such worlds. World building requires the ability to predict then project the outcome of trends and defining issues, or, at least, the ability to sound convincing. Here are some markers, suggested by Koontz, to get you thinking. What is considered acceptable today, wasn’t mildly acceptable, even in the West, a few decades ago. One only has to look at the issue of gay rights to realise the extent of the shifts currently underway. Will current political systems still be defined by polarities seen in countries such as the Untied States (Democratic/Republican), Australia, and the UK (Labour/Liberal)? Will the U.S. continue exist as a dominant power? Will Russia or China? Or, will a new power have risen to prominence. Brazil perhaps? Will the U.S. remain predominantly Christian, or will another religion rise to displace it? Perhaps science will eventually weaken religion to such an extent that it becomes irrelevant? 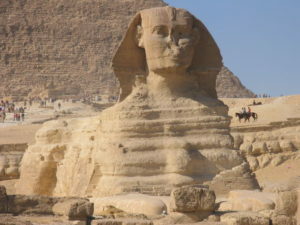 Or perhaps the reverse is true: the resurgence of monolithic religion? This is, perhaps, the most important and detailed category. How will our homes change? Our clothes, music, transportation? What types of food will we eat? Will marriage still exist as an institution? Will the number of children be limited by the sate? Will the smoking of cannabis be legalised? Will the moon and Mars harbour human colonies? Will space travel be made accessible to common folks? Will cancer, dementia, disease in general, be cured or will new diseases arise? These are some of the categories, which, Koontz suggests, are useful in helping the writer to sketch in the background of a world that is both familiar and strange—a world that allows one’s characters to live and breathe in the imagination of the reader. In thinking about world building of near futures, concentrate on key markers that define a society. This post suggests what some of those markers might be. This entry was posted in Story Design and tagged amwriting, Ian1, novel, novelist, screenplay, screenwriter, story, world building, writer, writetip on July 15, 2018 by Stavros Halvatzis. IN A PREVIOUS POST, I defined the protagonist’s character arc in terms of the rise and fall of certain character traits at the expense of others. I suggested that the best way to manage this process is to make changes at specific structural junctions such as the inciting incident, first turning point, mid-point, and second turning point. Another way to think of the character arc is in terms of character traits vying for dominance as a result of the tension that arises between a character’s wants versus his needs. Prior to the mid-point, sometimes referred to as the moment of illumination, the protagonist pursues the goal chiefly out of want. He mistakenly believes that by attaining the outer goal, happiness will follow. This is because he has not yet discovered or acknowledged his need. The trait driving the protagonist’s search towards the goal, based on this lack of self-awareness, therefore, is a negative one—obsessive desire, overblown ambition, and the like. After the mid-point, however, the protagonist is granted insight into the true nature of the goal and himself. What seemed like a good path at the beginning of the story no longer does so. From the perspective of technique, this means the prominent trait(s) motivating the character has been overshadowed by other more positive traits. This causes a change in the goal, and therefore, in the path to the goal. 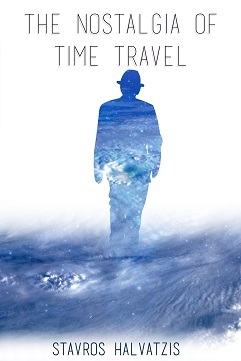 It illustrates the causal relationship that exists between the inner and outer journey in the story. 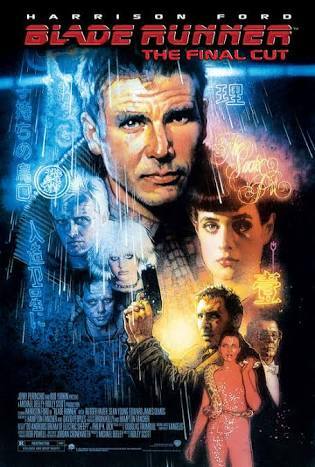 In the original Blade Runner, Deckard, a retired blade runner, a hunter of off-world synthetic humans, is persuaded to come out of retirement to hunt and kill a group of dangerous Nexus-6 Replicants, led by Roy, who have landed on earth illegally. We later learn that they’ve come in search of their creator Tyrell, of the Tyrell Corporation. Their intent is to have him extend their lifespan which has been set at four years to prevent them from developing emotions and becoming a threat to humans. During his investigations, Deckard discovers that Tyrell’s personal assistant, Rachel, is herself a Replicant although she is is unaware of this fact. The plot thickens when Deckard falls in love with her and tries to protect her from harm. Deckard’s inner journey is to realise that what he wants — to get rid of Replicants, is not what he needs — to rise above his prejudice and to keep Rachel alive. Ironically, during a fight to the finish, Deckard is rescued from falling to his death by Roy, the Replicant he has sought to kill. This act proves Replicants are capable of compassion, a trait that humans seem to have lost. Deckard’s dominant trait of cold efficiency in tracking and killing Replicants becomes subservient to his traits of love and compassion released in him by Rachel, who, we are informed, has no expiry date. In changing his goal by protecting Rachel from those who would kill her, Decker acknowledges that his need is greater than his want. This change of heart (character arc) illustrates how traits affect the story goal — Decker goes from killing Replicants to protecting them. Crafting your character arc in terms of character traits as well as what your protagonist wants vs. what he needs allows you to integrate the outer and inner journey of a story. This entry was posted in On Character, Story Design and tagged amwriting, character, Character traits, Ian1, novel, novelist, screenplay, screenwriter, story, traits, writer, writetip on February 4, 2018 by Stavros Halvatzis. .A STRONG STORY PREMISE is the foundation of most successful stories. Rehashing old ideas from past novels and films results in unoriginal and predictable stories. The premise of Jurassic Park was unique at the time, and the box-office receipts proved it. 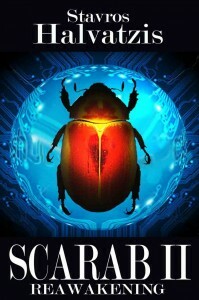 In my own best selling Scarab series, the original premise is: What would happen to the world if a mysterious formula, buried inside in a secret chamber beneath the Sphinx of Giza, proves to be the final link in constructing a quantum computer that can change the laws of physics? Here’s an example: The daughter of a callous hospital director is abducted by an ex-surgeon whose child has failed to qualify for a liver transplant and has died as a consequence (set-up). The fired surgeon kidnaps the director’s own daughter and removes her liver. The director has to find a replacement for his child’s organ, within two days, or she’ll die. In this example, such questions are indeed raised: Will the hospital director manage to find a liver for transplantation and save his child? Will the kidnapper allow the child to die? Will the hospital director become a more compassionate and caring man, or will this experience fail to change him? Steven Spielberg defined high concept as a pithy sentence or paragraph that allows one to hold the entire story in the palm of one’s hand. A strong story premise does the same sort of thing. That’s not to say that it is predictable and devoid of twists and surprises, only that we know enough about the sort of story we’re about to experience, to hold our interest. Together with good characterisation, emotive storytelling, good pacing, and a sense of verisimilitude, the story premise offers a method for successful storytelling. 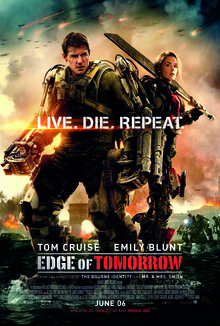 The story premise is a short description of the story that acts as a blueprint for the entire tale. A strong premise is one that is unique, contains a strong set-up and a pay-off, and generates dramatic questions. This entry was posted in Story Design and tagged amwriting, Ian1, novel, novelist, screenplay, screenwriter, story, Story premise, writetip, writing on January 28, 2018 by Stavros Halvatzis. WE ARE LIVING in an time in which there is an over-abundance of information, and this includes information on screenwriting. 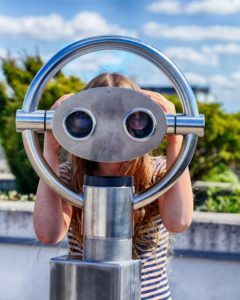 Finding the right stuff, therefore, is one of our biggest headaches. In an attempt to make this task a little easier I mention five important writing mentors worth mining for gold. Of the five mentors mentioned here, perhaps only Christopher Vogler offers a somewhat different inflection at first glance—-although even he employs a template in his use of the quest as a generic structure. But more of that later. 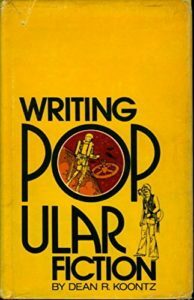 For the sake of brevity, one may view Syd Field’s work as focusing primarily on the structure of the main plot centered on a protagonist who struggles to achieve his chosen goal against mounting obstacles. Additionally, the midpoint ‘expands the character’s depth and dimension’. Field sees the typical film as comprising three acts, balanced by the midpoint, which breaks up the middle act into two units roughly of equal length. Each act is about 30 pages, or 30 screen minutes, in length and focuses on the vicissitudes of the protagonist’s fortunes. Linda Seger follows a similar line, but offers more detail about subplots. In Making a Good Script Great, she writes that ‘subplots give the protagonist an opportunity to smell the flowers, to fall in love, to enjoy a hobby, to learn a new skill.’ Emphasising that the function of subplots is to support and add density to the main plot, Seger stresses that subplots have their own beginning, middle, and end and are most effective when they intersect and connect with the plot line. Importantly, subplots carry the theme of the story. But no conventional story is possible without a central lead. Michael Hauge lays down five essential requirements for crafting a successful protagonist or Hero, the inclusion of which he sees as the first essential element of a well-crafted conventional story. In Writing Screenplays That Sell, Hauge asserts that the Hero, as the vehicle that drives the story forward, must allow for audience identification, pursue a clear and visible goal, face seemingly insurmountable obstacles, and show some sign of courage. Interestingly, Hauge does not place character growth, which he defines as the ‘character’s search for courage [which] results in greater self-knowledge, maturation, or actualization’, within the first five essential elements of his story-concept checklist, although he does include it at number thirteen, after high concept, originality and familiarity, subplots, genre, medium, and cost, and before theme. Lastly, Hauge defines theme as ‘a universal statement about the human condition that goes beyond the plot. It is the screenwriter’s prescription for how one should live one’s life.’ Theme, then, is generated from the premise or argument of the story within a wider context of received moral and ethical values. Robert McKee’s Story, in addition to concepts already explored above, includes a survey of major non-canonical forms which he labels ‘anti-plot’ and ‘miniplot’, as well as a detailed examination of genres. McKee’s definition of the following terms is also useful: The Premise is that which shapes the dramatic context of the story by asking an open-ended question – ‘What would happen if…?’; a beat is ‘an exchange of behaviour in action/reaction’; a scene is ‘a story event, usually in continuous time and space’; an act is ‘a series of sequences that peaks in a climactic scene which causes a major reversal of values’; the inciting incident, as ‘the first major event of the telling, is the primary cause for all that follows’; and the ‘obligatory scene’ or crisis, is ‘an event the audience knows it must see before the story can end’, which most often takes the form of a final confrontation between the protagonist and antagonistic forces. Christopher Vogler, by contrast, employs a mythological approach, inspired by the work of the American mythologist Joseph Campbell, defining the screenplay in terms of a quest. 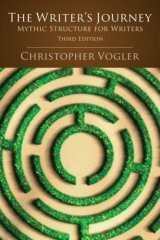 In The Writer’s Journey, Vogler describes each stage of the narrative as a journey undertaken by the Hero as he struggles to achieve his goal. Thus the Hero starts in the Ordinary World, receives a Call to Adventure, which initially results in The Refusal. He typically meets with The Mentor, Crosses the First Threshold, is Tested by Enemies and assisted by Allies, approaches the Innermost Cave, suffers an Ordeal, is Rewarded, begins his Journey Back, is Resurrected, and finally Returns with The Elixir. In doing so, he is aided and impeded by a host of archetypal characters (or combination thereof); namely, the Mentor, the Threshold Guardian, the Herald, the Shapeshifter, the Shadow, the Ally, and the Trickster. This approach to storytelling has much in common with Vladimir Propp’s description of the fairy tale, in terms of character function, put forward in his Morphology of the Folk Tale. Although some of Vogler’s offerings seem ostensibly different from other mentors, his definition of character and character action, in adhering to a predetermined template based on structuring narrative elements according to function, remains much the same as Field’s, Hauge’s, Seger’s, and McKee’s. Syd Field, Michael Hauge, Linda Seger, Christopher Vogler, and Robert McKee are five important screenwriting and story mentors who have packaged much of Hollywood’s conventional wisdom into screenwriting systems. Collectively, they offer new and established writers an opportunity to deepen their knowledge of the writing craft. 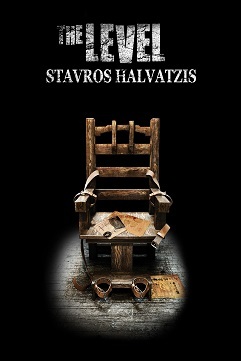 This entry was posted in Motivational and tagged amwriting, Ian1, novel, novelist, screenplay, screenwriter, screenwriting, story, writetip, writing on December 31, 2017 by Stavros Halvatzis. IN THESE ARTICLES I often talk about the large pivotal elements that shape a story—the turning points, the pinches, the mid-point, and so on. But these structures, important as they are, form only the macroscopic aspect of your story. The fuel that turns the engine over lies in the details, in the dramatic beats that make up your individual scenes. Dramatic beats, we are reminded, are small but significant actions or events that form the sinew of a scene. In a scene in which a murder occurs, for example, a character pacing around the room does not constitute a dramatic beat; spotting the dagger behind the curtain, which is to be used in the murder, does. But what sorts of dramatic beats keep our readers and audiences glued to their seats, and how can we best write them? For one, we can craft them in a way that creates suspense. For another, we can introduce the element of surprise. Or, we can do both. 1. A lie is exposed. 2. A loss of resources occurs. 3. A trust is betrayed. 4. A new problem arises. 5. A plan goes wrong. 6. A new character is introduced. 7. A character swaps sides. 8. Unforeseen consequences of past actions arise. 9. A new motive is revealed. 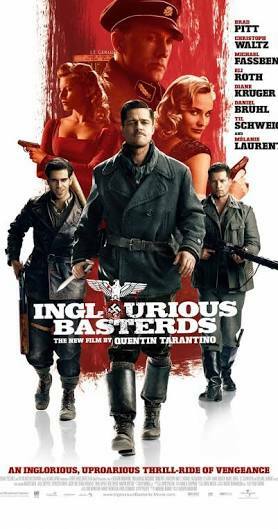 In Quentin Tarantino’s Inglorious Basterds, Colonel Hans Landa’s reputation of ruthlessness drives one of the longest and most suspenseful scenes in the entire movie. At the start of the film, Landa arrives at a dairy farm in the French countryside in search of the Dreyfuses, a missing Jewish family, who he suspects is being sheltered in the area. Landa insists on being introduced to each of the dairy farmer’s daughters individually, heightening the suspense. Although LaPadite at first resists admitting that the Dreyfuses are hiding beneath the floorboards of his house, Landa eventually ferrets the truth from him through a series of compliments, threats, and innuendoes. A new motive is revealed—Landa did not come to LaPadite’s farm house to close the book on the case as he at first claims, but to catch him out. A lie is exposed—Landa is able to ferret the truth out of LaPadite. A new problem arises—LaPadite knows that if he continues hiding the Dreyfuses his own family will be executed. A trust is betrayed and a character swaps sides—LaPadite is forced to betray the Dreyfuses. A plan goes wrong—LaPadite’s plan to hide the Dreyfuses under his floorboard is exposed. Well-crafted dramatic beats contain enough twists to keep your readers and audiences interested in your story. This entry was posted in Story Design and tagged amwriting, Dramatic beats, Ian1, novel, novelist, screenplay, screenwriter, story, writetip on December 24, 2017 by Stavros Halvatzis. A strong story ending is essential to the success of your tale and is the result of deliberate planning from the very start of your manuscript. Stories are about the protagonist and antagonist involved in a life and death struggle of some sort. 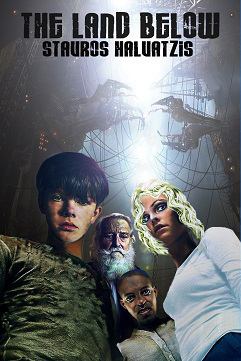 Enhancing the reputation of these two essential characters ups the stakes and leads to a more engaging and tense ending. 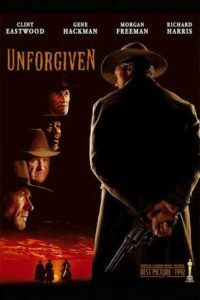 In Unforgiven, William Munny, the protagonist, is described by the opening titles as “a known thief, murderer, a man of notoriously vicious and intemperate disposition.” Later he is described by the Kid as being “the same one that shot Charley Pepper up in Lake County? You’re the one who killed William Harvey and robbed that train in Missouri.” Likewise, the antagonist, Sheriff Bill Daggett, is described by a deputy as being utterly fearless. He is seen beating English Bob, a hardened murderer, within an inch of his life. His toughness and cruelty enhances his reputation as a feared antagonist. A truly memorable story ending is as surprising as it is inevitable. Foreshadowing it, therefore, has to be subtly crafted so as not to show its hand. The more we doubt the ability of the protagonist to achieve his goal by defeating the antagonist, the more we root for his success, and the more we fear for his failure. When we first meet William Munny we find him slipping and falling amongst the pigs in the pen. The Kid says of him: “You don’t look like no rootin’ tootin’ cold blooded assassin.” And later, it takes Munny four shots to get the first cowboy. Compared with Little Bill’s ruthless skills, this makes us fear for his survival against the Sheriff. Introducing twists which thwart our expectations, causes us to worry about the outcome. Little Bill beats up William Munny at the saloon, and Munny spends three days hovering near death. The Kid remarks that Munny is useless. Munny hardly appears as a man who can fulfill his contract and succeed in standing up to Little Bill. When Munny is told that Ned Logan has been beaten to death by Little Bill, he knows that he has to go back and revenge his death. He knows that this might result in his own death. He tells The Kid “Here, take this money and give my half and Ned’s half to my kids.” Munny’s doubts about the outcome of the confrontation increases our suspense even more. Facing the antagonist in his own lair weakens the protagonist’s ability to prevail. Munny faces Little Bill in the saloon, surrounded by Little Bill’s deputies and henchmen. This stacks the deck against Munny and makes it unlikely that he will survive the confrontation. A powerful ending increases the tension in the story by making the likelihood of the protagonist prevailing over the antagonist seem unlikely. This entry was posted in Story Design and tagged amwriting, Ian1, novel, novelist, screenplay, screenwriter, story, writer, writetip on November 5, 2017 by Stavros Halvatzis. Dictionary.com defines theme as a subject of discourse, discussion, meditation, or composition; a unifying or dominant idea or motif found in a work of art. What I find most useful about theme stems from combining two ideas drawn from the work of Lagos Egri and Stanley D. Williams: that a theme emerges only the end of the story and contains a moral premise. The theme is proven at the end of a story because that’s when the conflict between the protagonist and antagonist is decided. It contains a moral premise because the conflict itself is, at its core, a conflict between good and evil. In simple terms, if the antagonist wins we have a down ending — evil triumphs. If the protagonist wins we have an up ending — good triumphs over evil. In the film 30 Days of Night the isolated northern Alaskan town of Barrow is beset by a band of vampires intent on using a month of darkness to gorge on the unsuspecting and helpless community. The sheriff, Eben Oleson, the story’s protagonist, confronts Marlow, the leader of the vampires, in order to protect his town, but clearly lacks the strength to defeat him. All seems lost until Eben hatches a plan to bolster his own strength by infecting himself with tainted blood, turning himself into a vampire. Eben defeats Marlow then purposely exposes himself to sunlight and dies, ensuring that he himself never becomes a threat to the humans. The theme that emerges at the end of the story is that death, through self-sacrifice, leads to a greater, more transcendent victory by granting life to others. Isolating themes in this way allows us to see the essence of stories at a glance. It helps us to keep narrative events on track. The theme embodies the moral premise of the story and is established at the end of the tale. This entry was posted in Creating Anticipation in Dialogue and tagged amwriting, Ian1, novel, novelist, screenplay, screenwriter, story, Theme, writetip on October 1, 2017 by Stavros Halvatzis. We often need to create nonhuman characters in the stories we write – animals, robots, talking trees. In Creating Unforgettable Characters, Linda Seger reminds us that human characters achieve dimensionality by highlighting their human attributes. Highlighting nonhuman attributes of dogs, such as barking louder or digging faster to get the buried bone, will not make them more endearing. To achieve that we must give them human personality. We need to do at least three things: choose one or two attributes that will help create character identity, understand the associations the audience itself brings to the character, and create a strong story context to deepen the character. Attributes in themselves do not give enough interest and variety. Audiences need to project associations onto them. Nowhere is this more clearly seen than in advertising. Mercedes is branded as the car of engineering, Ford represents quality, and so on. By associating the car with a certain quality you get the rub-off or halo effect. In advertising this causes the consumer to want to purchase the product. In films and novels the effect draws us closer to the characters through our projecting personal feelings onto them. In producer Al Burton’s TV series, Lassie, the dog part is written in a way that allows the animal to become part of the family, a best friend to the adults and their son. Through this deft move the series becomes family viewing, and not merely a kid’s show. A character such as King Kong, however, brings very different associations. He comes from the South Seas. He is enveloped in a dark, mysterious, and terrifying aura. His associations include a vague knowledge of ancient rituals, human sacrifice, and dark, unrepressed sexuality. We, as adults, are frightened of King Kong because we bring to his character our apprehensions of the unknown. 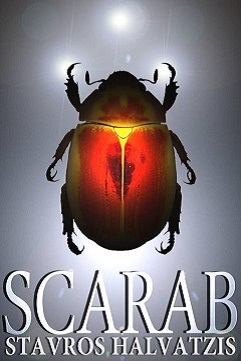 In my novel, Scarab, the Man-Lion, a mythical creature in the likeness of the Spinx of Giza, carries the same sort of frightening mystery and intrigue. Its dark fascination for the reader is generated more by the power of association than a detailed description in the pages of the novel. Understanding the power of association and how to use it, then, is a crucial part of creating and positioning characters in your stories, and in the market place. Highlighting specific human characteristics in nonhuman characters, and using them to amplify our reader’s and audience’s personal experience, helps to make them more engaging. 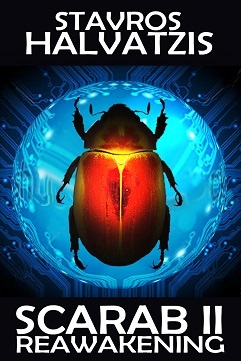 This entry was posted in On Character and tagged AmEditing, amwriting, Ian1, non human animals, novel, novelist, screenplay, screenwriter, story, writetip on September 11, 2016 by Stavros Halvatzis.